Has it caught you unprepared? Did the sight of binkies, diapers, onesies, and teething toys bring on an epic meltdown? Here’s your chance to vent. 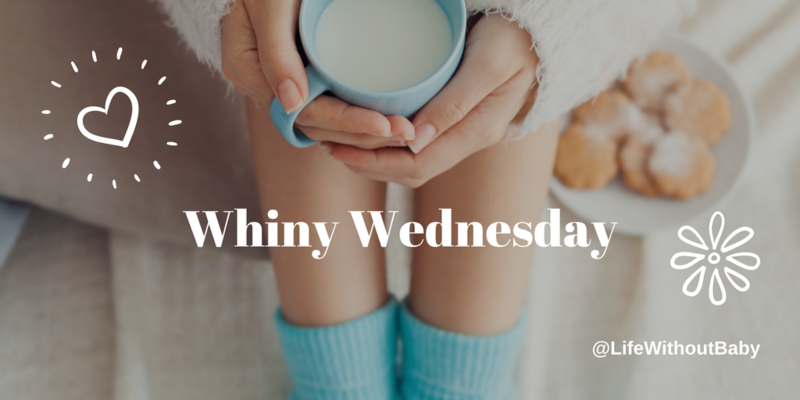 Following your response this Whiny Wednesday post, I decided to add my own two cents to the adoption discussion. But now I’m in a better place I can answer that question easily and in a more friendly and helpful way. I’m doing it today, not for those people who want to make sure I’ve thought of every avenue, but for those of you on this site who might be thinking of adoption and wondering why I didn’t do it. My answer could be very complex and I could talk about how our adoption options were limited by age and finances, about how much more complicated and heart-wrenching the process was than we’d expected, and about how we didn’t have the emotional strength to risk being matched with a child who could be snatched away again in an instant. But having some distance from that time in my life, I see it more simply now. 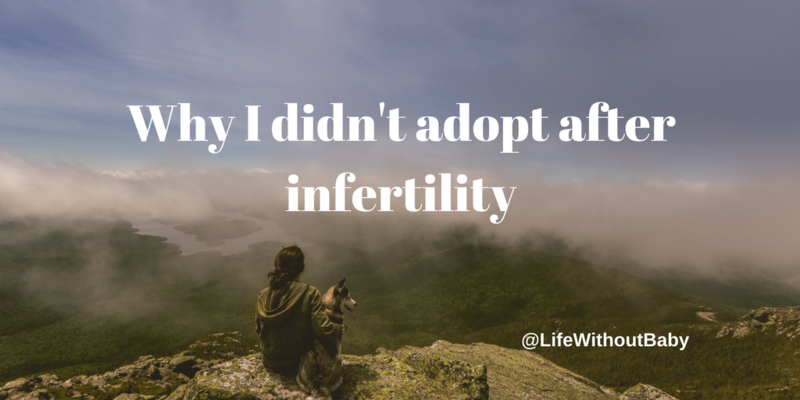 We didn’t follow through with adoption because we hadn’t yet dealt with the loss dealt by infertility. During our adoption training we were warned about the importance of resolving our infertility before diving into this new avenue, but at that time, I didn’t want to hear that. Now I think it was perhaps the most important piece of advice we were given. Adoption isn’t the next logical step on an infertility journey; it’s a step off that road and onto another completely different path. 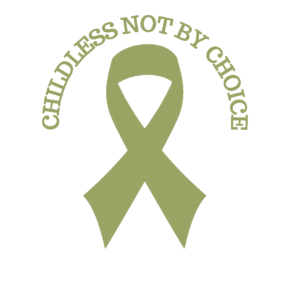 But the infertility journey still needs to be brought to a resolution. You still have to work through that grief. When we ventured into adoption, we didn’t fully understand this. 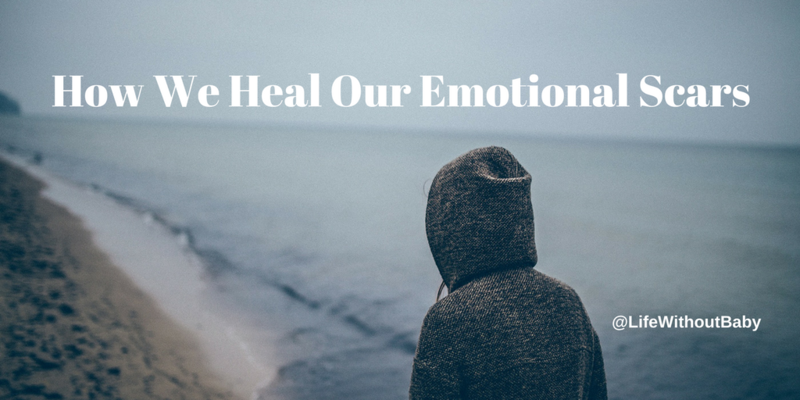 Perhaps if we’d taken some time to heal first, we might have been better equipped to deal with that wild emotional rollercoaster, but we didn’t, and we weren’t, and that’s the way that story went. I know that some of you are still weighing your options and making some big decisions. My story is unique to me and my opinion is based solely on my experience, but I hope hearing it helps you. A big thank you to Jane for reminding me that this Sunday is Mother’s Day in the UK. I always do a Mother’s Day post in May in preparation for the event here in the U.S., but of course, that’s too little too late for UK readers. So, this week’s topic Mother’s Day, Part I. If you’re getting ready for the coming weekend’s challenges, feel free to reach out here. What are you dreading? How are planning to deal with the day? For everyone else, it’s open forum today. 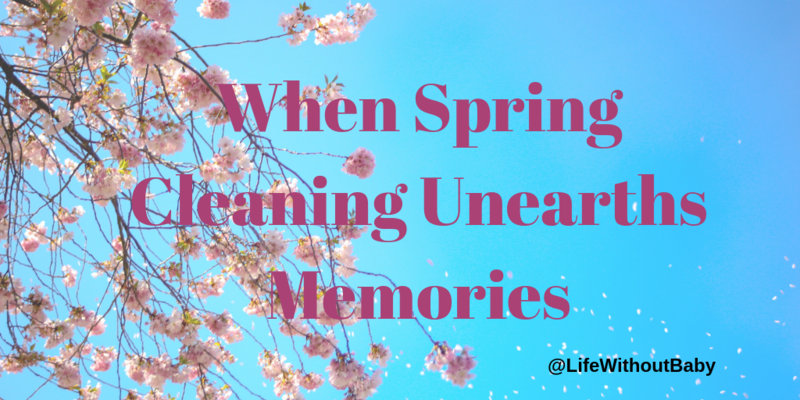 Spring has almost sprung and, as usual, I find myself in a cleaning and decluttering frenzy. I’ve made trips to the thrift store with bags of clothes that are too big, too small, or just plain ugly. I’ve purged my kitchen of all those “good idea” gadgets, rusted cake pans, and broken plates that I’ll get around to gluing “someday.” I’ve even parted with a box full of books, which is a big give-up for me. And I’ve been eyeing the curtains in my living room and thinking about throwing them in the washer. I go through this every year and find it very therapeutic. But in the past, it’s also been a dangerous pursuit, fraught with emotional landmines. One year, while rummaging through a rarely used cupboard, I came across some baby-related stuff. I’d been getting rid of all those things bit-by-bit, and I was fairly sure they were all gone. So it was a deflating moment when I unearthed some items that had slipped through the net. This find was particularly difficult, as it was the glossy information packet we received from our first fertility clinic. It had a picture of a beautiful glowing baby on the front and was filled with encouraging stories, happy family photos, and explanations as to how the expert team would help us build the family of our dreams. Inside I found test results, ovulation charts, and notes written in my own handwriting, reminding me of where I’d been. The whole thing reeked of hope and it stirred up some of those old emotions. To my credit, I ditched the whole thing without getting upset. I didn’t keep one scrap of paper. There was another, similar item in the cupboard, too, but now I can’t even remember what it was, because I tossed that out as well. After that, I went to my bookshelves and pulled out the Knitting for Two book I’d been keeping. In addition to the maternity cardigan I started (that was still somewhere in the house) I’d actually used the book to knit a sweater for a friend’s baby. I only did it once, because it was so painful, and I realized that it was part of the hair shirt I chose to wear for a while, when I was forcing myself to be around other people’s babies, and to be “genuinely happy” about pregnancy announcements. This was long before I figured out my need to grieve and heal, so that I could genuinely be happy for someone else’s news. At that time, I had opted to torture myself by knitting from my baby’s book. So out it went. My purging of baby stuff was a gradual process. At first, I couldn’t get rid of anything. After a while I threw out the assorted test kits, and the doctor info, moving slowly towards throwing out baby clothes (and even a maternity top a friend had given me.) The fertility and pregnancy books went next, and so it continued. I’ve no doubt that there will be other landmines scattered around my house, even now, and that they’ll come to the surface some day, but now I know I can handle them. And I know I can throw them away with no (or little) love lost. 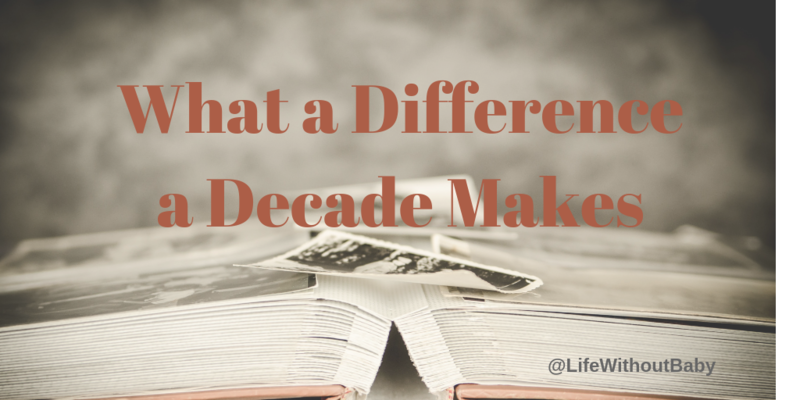 This month marks nine years since I wrote the first post for Life Without Baby. 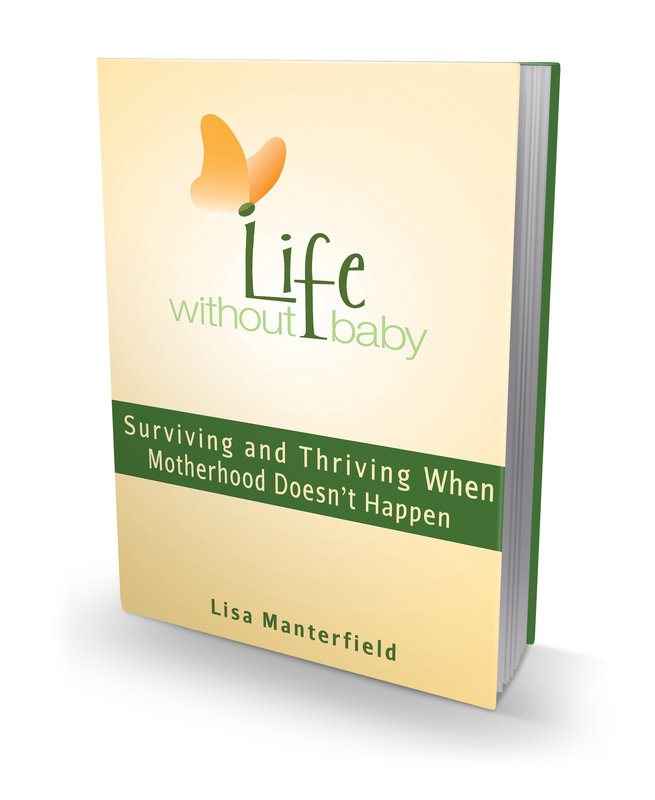 It will be a whole decade since I acknowledged that I would not be a mother by any means. Ten years sounds like a really long time, doesn’t it? But I have passed so many milestones on the way to getting where I am now. First there was the decision to get off the fertility crazy train. I passed that milestone several times, each time hopping back onboard for one more try. Eventually, I passed it for the last time. I cancelled my next doctor appointment and never went back. I passed another milestone when I stopped envying/hating/coveting every pregnant belly I saw. I have since held other people’s babies, made it through Mother’s Days without tears, and gone shopping for baby shower gifts. Each was a significant milestone. Eventually, after a number of years, I stopped being so sad about all I’d missed out on. I started building a new life and taking advantage of the benefits of not having children. Ten years ago, I could never have imagined I’d look at my life, see how completely different it would have been with children, and feel satisfied that things worked out well after all. I hadn’t even known that milestone would be there until I passed it one day a couple of years ago. None of this came easily. I went through dark periods of grief, of feeling angry and resentful. I’ve felt horribly lonely and alienated from people with “normal” lives. I’ve been in turns bitter, embarrassed, defiant, even vengeful about being infertile and childless. I’ve also felt relief and even slightly smug. And after these ten years, I feel acceptance of my life that way it is, an understanding that when the motherhood door closed for me, others opened (although I sometimes didn’t see them at first.) I like my life just the way it is. Maybe you can see yourself at one of these milestones. Maybe you’re making peace with the hand you’ve been dealt, maybe you’re moving on with a different kind of life, too. If you see yourself all the way at the beginning of this post, wondering how on earth you’re ever going to be okay again, hang in there. You’re not alone. I, and many other readers on this site, are here to tell you that it does get better in time. Most likely, it will take longer than you ever imagined, but from my experience, the end result will also be better than you could have possibly foreseen. 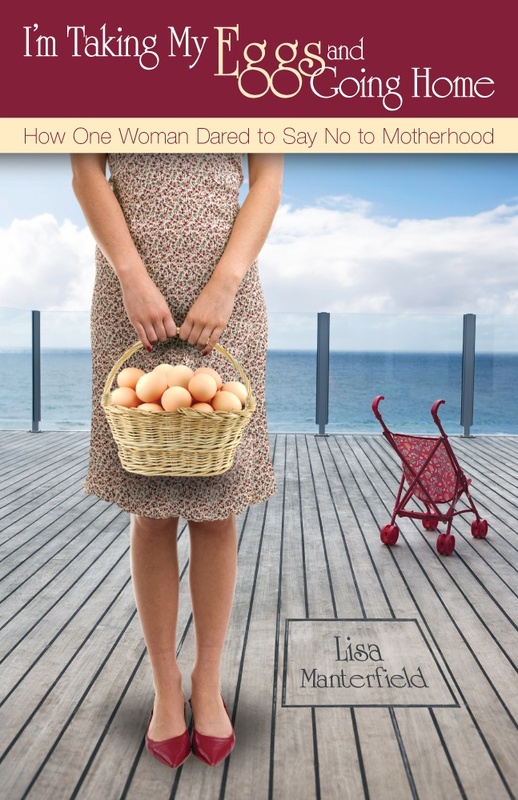 I wrote about my infertility journey and my decision to stop trying to be a mother in my first book, I’m Taking My Eggs and Going Home: How One Woman Dared to Say No the Motherhood. Then, after blogging my way through coming-to-terms with that decision and dealing with the loss, I wrote a guidebook to help other navigate their way. 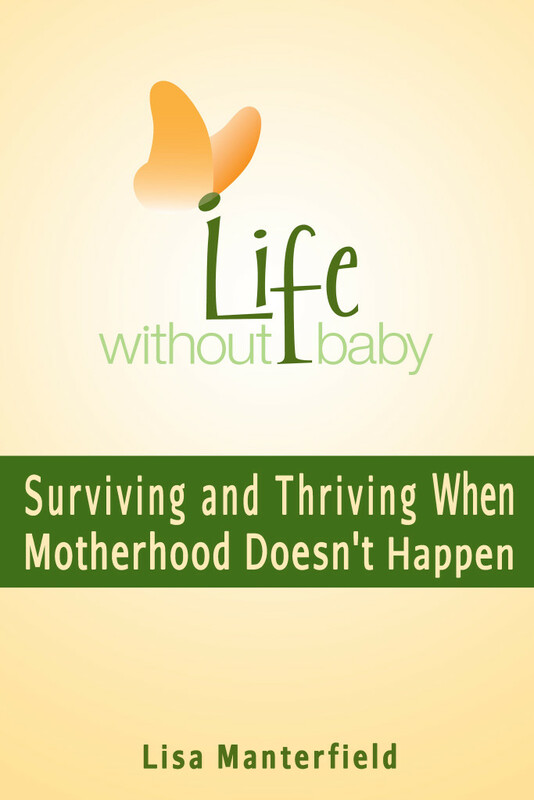 That book is Life Without Baby: Surviving and Thriving When Motherhood Doesn’t Happen. And now I’d like to ask you a small favor. If you’ve read either of these books and found them helpful, would you take a minute and leave a review on your bookseller site of choice? It need only be a couple of sentences about what you liked (or what you didn’t, if that’s the case), but it will really help others looking for this sort of book, and of course, it would be a huge help to me. You can click on the links below and they’ll take you where you need to go. 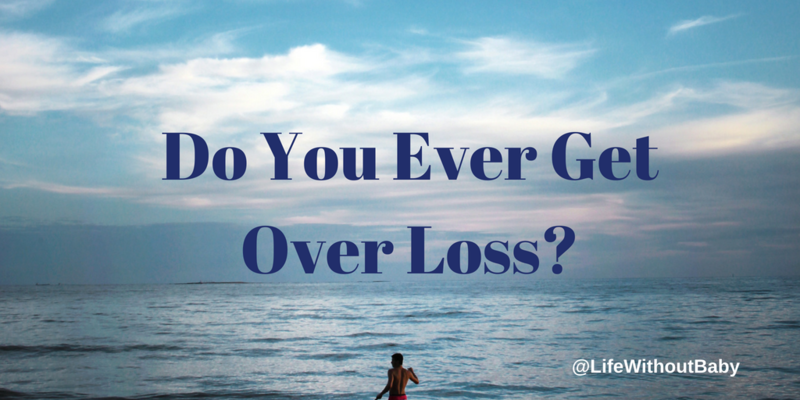 Do You Ever Get Over Loss? My friend Paula turned 50 this year. It’s been more than a decade since she and her husband realized it was time to accept that they wouldn’t have children. For ten years she’s been working through the mess—the grief, the anger, the sadness, the despair, the big, big question of “what am I am going to do now that I won’t be a mother?” And because her older brother was a confirmed bachelor, Paula also felt pressure from her parents to produce a grandchild, even though they never said it out loud. But that was a long time ago. If you ask Paula now, she’ll tell you she’s “cured.” She’ll tell you that, most days, she doesn’t think about the fact that she’s childless. She and her husband travel, they have a broad circle of friends, she’s been able to hop on career opportunities that would have been difficult with small children. She enjoys her friends’ children and she enjoys handing them back to their parents. In her candid moments, she’ll say her life worked out better than she’d expected and might not have been so great if she’d had the children she once so desperately desired. Life is pretty good for Paula. And then her brother fell in love, married, and shortly thereafter announced he would become a father. Paula called me in tears. She was utterly blindsided by her tearful reaction. She told me her parents were over the moon, that her mother was telling everyone that she was going to be a grandma. “At last,” she told people, giving Paula a meaningful look. And that’s when her dad opened up. He admitted how “difficult” all this waiting and longing had been for them. He’d felt left out too, he told her. She understood, but his confession found its way deep inside Paula, to that one small dark spot that had yet to heal, and poured salt into all those old—and now reopened—wounds. The guilt and shame that consumed her in that moment was overwhelming, and the tremendous weight of that was part of what took her by surprise. Her brother had made her aging parents happy, had given them the thing she couldn’t. The family torch had been passed and it wouldn’t be to Paula. When I talked to Paula again a couple of weeks later, she assured me that she was going to be okay. She said a part of her was looking forward to being an aunt and that her big grown-up self was happy for her brother and her parents. Do you agree? Or do you have your own favorite “helpful” slight? I have a large scar on my left knee. It has black lines of grit in it, and smooth patches of scar tissue that catch the light on an otherwise rough patch of skin. My scar is 30 years old and I don’t think about it very often anymore. It doesn’t hurt, even when I poke it, and the wound that caused it healed long ago. But if I think back to the day I got my scar, all the memories and the pain come flooding back. I remember the bike accident. I remember riding through the trees on a gorgeous sunny day, laughing with my friends and flirting with a boy I liked. I remember trying to get his attention and catching my front wheel on his back tire. I don’t recall sailing through the air, but I must have done, because I do remember skidding along the trail, trading bits of knee for bits of trail. I remember sitting in the bath at home and crying as my mum tried to clean the wound. And I remember my older brother—a bit of an expert on injuries and scars—gently coaxing me to scrub out the grit or be left with a terrible scar. I also have a vague recollection of a discussion among adults (not my parents) about plastic surgery and what a shame it would be if a “pretty girl” was disfigured by an ugly scar. It all happened so long ago, but dredging up these memories can bring back all that pain, my embarrassment, the tenderness of my brother, the feeling that my scar would make me “less than” I could have been. I can feel all of it again as if it had happened in more recent memory. I feel this way about my infertility and childlessness, too. Most days, I don’t think about it anymore. But lately I’ve been writing about grief and loss, and some of those awful feelings of sadness, anger, and deep, deep loss have been coming back to me. It’s taught me that the healing process for emotional scars is much the same as for physical scars. You have to suffer some terrible pain to clean the wound. You have to struggle through the initial all-consuming grief. You have to ask for support from people who might not know how to give it. You have to walk again, even if every step is agony. You’ll meet people who will see you as damaged and less than you could have been, because you no longer fit into their ideal of perfect. But over time the healing begins. You’ll knock your healing wound a few times and break it open again. In one particularly unfortunate incident, you’ll fall on the same wound and end up with a double scar. But you’ll remember how much you loved riding a bike and you’ll take it up again. And you’ll meet new people, who don’t care whether you have one ugly knee, because they’re more interested in some other facet of who you are. And you’ll realize that being a “pretty girl” wasn’t what you were destined to be anyway, and you’re happy being an outdoorsy girl who’s accumulated a multitude of scars since then. And when you’re shaving your legs (which is trickier because of the scar) you might sometimes recall how you got the scar and the pain you went through. But most days, you won’t even think about. Having a big scar on my knee means I never got the opportunity to be a leg model, but I got to be so many other things instead, things that have made my life journey quite interesting. My infertility scar is much newer than my knee scar, but it is healing in ways I couldn’t have imagined when it was new and raw. And the things I never got to do or be have left room for so many other opportunities.